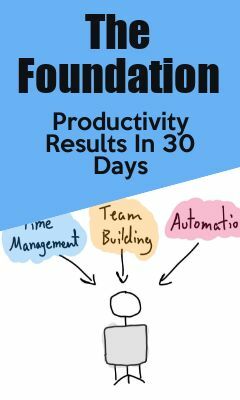 Performing a daily review is a great habit to build – it’s quick and relatively easy and should have you become more efficient and reliable in a short period of time. Late for meetings? No more. Forgetting important tasks and activities? Won’t happen when you do your review and add everything to your task tracking! It’s a simple enough tactic to ensure that your brain is ready for the day and aware of the “high level” activities and tasks coming up. I myself prefer to do this quick review first thing in the morning so that I am aware of upcoming responsibilities, meetings, and events. By making it the very first thing I do I don’t push it off for another task or urgent issue. The idea is what matters the most. Getting into the habit of reviewing your tasks and activities and collecting all needed inputs (i.e. putting things you scribbled into your notebook yesterday into your task tracking app today). One last thing – I definitely put a reminder in my task app (Todoist) to do this review and occasionally set an index card on my desk with the steps when I feel like I’ve been in a rush or skipping steps. It has a set time so that I get a reminder until I get it done. I suggest you do the same even after it has become a habit as this is one of the most important ways to stay on top of your responsibilities and remain productive. This article was posted in News and tagged daily review.